I'll ride into the unknown at the Leadville 100 mountain bike race. And I'll do it on a bike as old as I am. 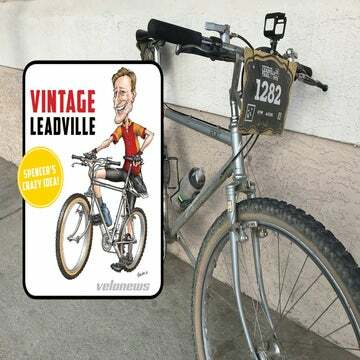 In less than two weeks, I’ll ride into the unknown, early in the morning, more than 10,000 feet above sea level at the Leadville 100 mountain bike race. And I’ll do it aboard a bike as old as I am. I’ve never done this race before. I’ve never done a mountain bike race longer than 60 miles before. 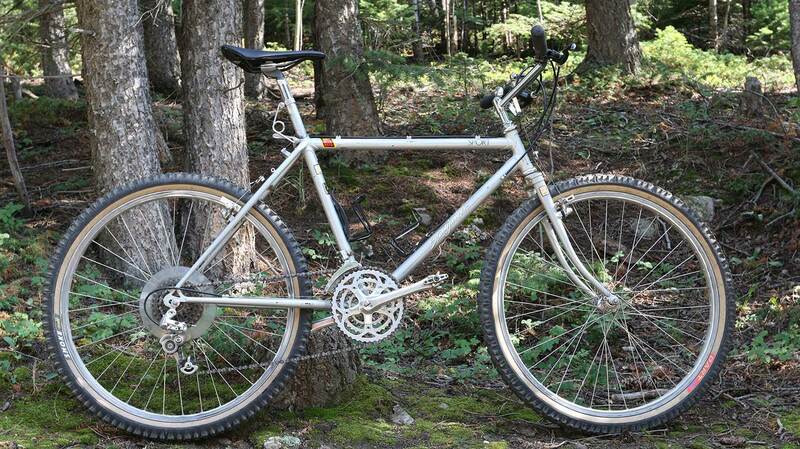 As if that wasn’t enough, I had the crazy idea to do it on my 1983 Specialized Stumpjumper. Why? Because I feel that sometimes, in the bike industry’s rush toward continuous innovation, it’s easy to get bummed out on an outdated bike. It’s easy to use that as an excuse not to ride as often. Hopefully, this can help prove the point that riding is fun no matter how obsolete your bike is. I bought a bike last year. It’s as old as I am. In a Buyer’s Guide filled with the latest cycling gear, my ’83 Specialized Stumpjumper hardly merits a mention, right? When it comes to new technology, of course, it doesn’t. However, this heavy steel bike, alongside these modern-day wonders, emphasizes a deep truth about bikes. I could wax poetic about its thumb shifters and bull-moose bars. I could delve into the bike’s deep heritage, or the sense of nostalgia it conjures when riding it. But let’s forget all that. Likewise, disregard the carbon fiber of the modern bikes in this issue, along with their 11-speed cassettes, integrated shift/brake levers, and the — gasp — disc brakes. Stripped down to the very basics, bicycles new and old are actually all the same. They each offer an identical, enduring experience: the sensation of riding. It is that little bit of magic that gives a bike life when the gyroscopic forces take hold and your ride — whether around the block or across the country — begins. Carbon, titanium, aluminum, steel, even bamboo — they all roll. They balance. They glide. They lean. Unless your mental capacities are totally clouded by a bonked haze, bikes always manage to excite a primal corner in our brains that makes us happy, more creative, pensive, or simply relaxed. At the risk of straying into pop psychology, this must (in part) be due to our deep-seated childhood memories associated with riding. Hopping on a bike at 35 might not give you quite the same butterflies-in-the-stomach feeling as it did at the age of five. It’s still magical though, right? You can chase that buzz on any two-wheeled contraption. My 35-year-old Stumpjumper, a $12,000 Trek Émonda, a Strider bike — their music is all played in the same key. Sure, they can’t all become collector’s items. They can’t all be raced in the Tour de France either. That isn’t the point. Each is equipped to produce the same fundamental experience that keeps us coming back for more. Few tangible products remain so true to their essence year after year, decade after decade, quite like bicycles. Fads come and go, but you’ll still find people out on the road, enjoying the ride, no matter if they still rock Spinaci bars, five-speed freewheels, or Biopace chainrings. In fact, seeing those happy cyclists is my favorite part of any ride. There are surely some collectors who salivate over the Apple Lisa personal computer, also sold 35 years ago. But do they use it every day like we do with our bikes? I doubt it. Does my MacBook feel like that clunky old desktop with its floppy discs and five-megabyte hard drive? Of course not. Like computers, cars, or anything else we buy, bikes change every year to accommodate new trends, market demands, and technology. And yet, they also do not change. Whether you’re enamored with lugged steel or modern carbon, bikes of all ages and varieties have that same intangible sensation. That gliding two-wheeled balance is timeless. And that’s why no bike can ever truly become obsolete. Thanks to The Leadville Race Series for letting us participate in this year’s race to bring you the most in-depth coverage around the event.